High heat resistant up to 500 degrees Fahrenheit (about 260 degrees Celsius) with only one layer applied. Double or triple your layers to increase your level of heat resistance and protection! This amazing product is self adhering, meaning it bonds to itself with no adhesive. When it’s removed, there is no leftover glue residue. Apply it to anything and everything! Torch tips, heat guns, tools, steamers, and more! The list is endless! 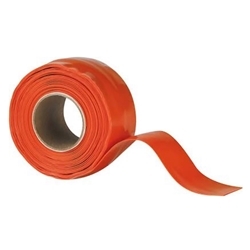 This tape stretches up to 300% and molds perfectly to odd shaped items.